Loads of capability and a practical size. While pedalboard-friendly, the Orbital Modeller's two footswitches offers access to two modulation effects chosen from a range of choruses, flangers and phasers. 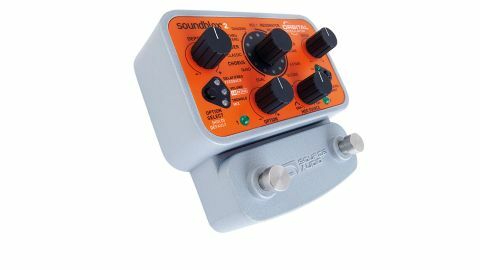 "You can mix in tremolo to any of the other effects"
All of the effects have nine adjustable parameters and internal modulation control or external via MIDI, expression pedal or Source Audio's Hot Hand motion sensor rings. There's a knob to choose the modulation source and the ability to mix in tremolo to any of the effects. Compact, affordable and with access to two effects, this is also a practical space saver.